Click image of the map for a larger view. Open House is a great way to gather information about the wide variety of resources available to students at OTC. During Open House you’ll get information you need about our academic programs, student life, and admissions. 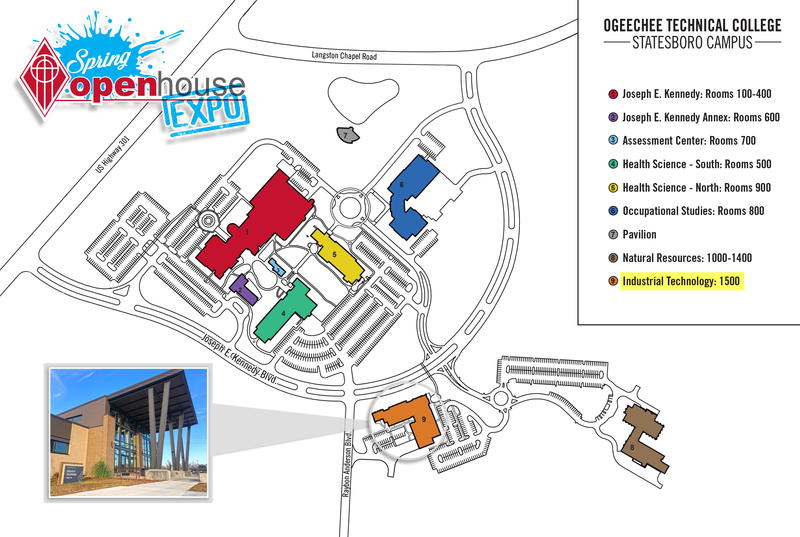 In addition, you will be able to explore programs through a variety of diverse activities designed to help you easily transition to Ogeechee Tech! Parents are welcome, too! While registration is not required, we would like to know that you are coming. Click here to let us know you'll be there! There is no set program for the Open House. Therefore, it is not necessary to stay for the duration of the event. We recommend glancing at the schedule and list of activities associated with Open House and planning your evenning accordingly. Open House includes indoor and outdoor activities on our campus. We recommend wearing comfortable clothing and walking shoes. 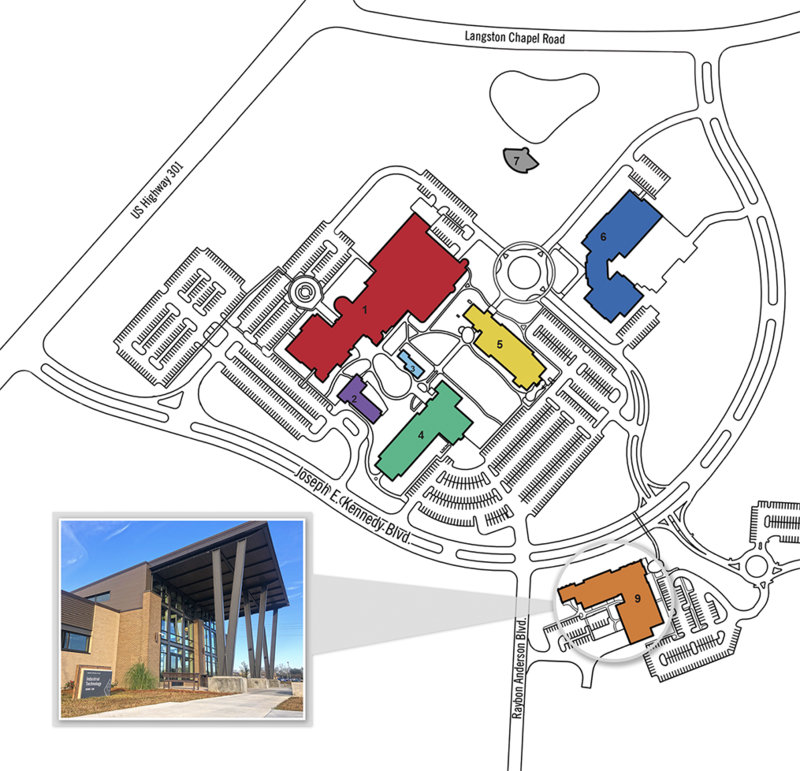 Since our Open House event will be held at our new Industrial Technology Building, it would be best to use the parking lots near the Natural Resource building or the Health Science North building. There will be signs indicating the designated parking areas. Will I be able to have my transcripts reviewed/evaluated? We will not be able to review or evaluate transcripts for potential credit and/or admissibility at the Open House. However, we encourage turning in transcripts with your application to be evaluated at a later date. I am arriving from out of town and need to make hotel reservations. Can you recommend hotels in the area? We have many options for overnight accommodations. Check out www.visitstatesboroga.com for information on hotels, restaurants, and activities in Statesboro, GA. Questions? Email enrollmentservices@ogeecheetech.edu or call 912.681.5500.